•	Are your caravans fully insured? Does this cover my personal belongings? •	What equipment is supplied with the caravan? •	Are there TV’s in your caravans? •	Do I need a generator or electric hook up to run the lights & electrics in the caravan? •	Are pets allowed in your caravans? •	How long have you been hiring caravans and how many do you hire out? •	Do you hire all year round? •	I want to travel to Europe, is this allowed? •	Do you offer a delivery / collection service for your caravans? 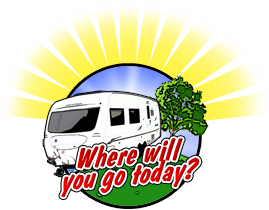 •	Do you have a list of local caravan sites that we can use? •	Do I need a special licence to tow a caravan? •	Are there any age restrictions when hiring your caravans? •	Is my towcar suitable to tow your caravans? •	Are there any speed limits or lane restrictions for caravans in the UK? •	What kind of towbar do I need to hire your caravans? •	I will need a rear number plate for the caravan, do you supply? •	I am going to a specific event. Can you site a caravan there ready for me? •	Must I book a vehicle for a week, or can I specify the length of hire I want? •	Do I have to collect / return my caravan on a particular day of the week? •	What are your usual collection / drop-off times for hire vehicles? What happens if I am late? •	Do you have minimum hire periods or charges? •	What is the damage deposit? •	What happens if I have to cancel my hire? •	What happens if the hirer before me is late or has an accident? Have you got spare caravans? •	Do I have to pay the full hire charge on booking? •	Do you offer discounts for long term hires? •	Do you sell Caravans? Q. How long have you been hiring caravans and how many do you hire out? A. 2018 will be our 10th season & we currently have 22 caravans in our fleet consisting of 4 x 2 berths, 9 x 4 berths, 4 x 5 berths & 5 x 6 berths. Q. Do you hire all year round? A. Yes. We are able to offer a full range of caravans throughout the year. Q. Are your caravans fully insured? Does this cover my personal belongings? A. 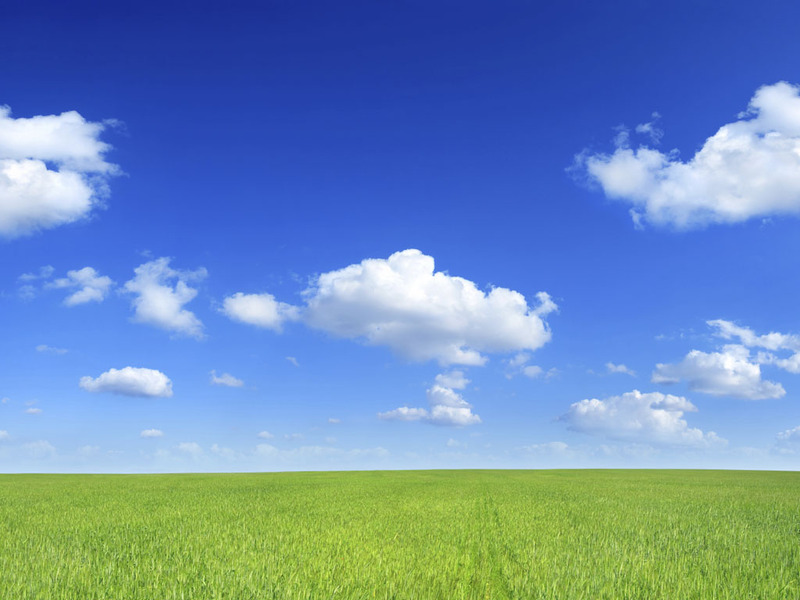 All our caravans are covered by comprehensive insurance covering the UK.. It does not cover your personal items and we would strongly recommend you consider personal travel insurance to protect yourself fully against loss or damage to your own belongings. Q. What is the damage deposit? A. The damage deposit, sometimes called a security deposit, is the sum you deposit with us over and above the hire charge, which in most cases is £200.00. This deposit is fully returnable provided the vehicle is returned clean (including the emptying of the toilet cassette), undamaged and on time. In the event of damage to the vehicle or an insurance claim from a third party, the cost of the damage/claim will be deducted from this deposit before it is refunded to you. In the event that the damage repair costs exceed the deposit paid then an additional sum will be payable by the Hirer up to the level of the insurance excess. This insurance excess is currently £1,000.00. For accidental damage this amount is your maximum liability and any additional costs will be covered by Norfolk Caravan Hire or our insurance company. As we cannot offer breakdown and recovery services due to FSA regulations it is now the responsibility of the caravan hirer to arrange full comprehensive breakdown and recovery services to cover the tow-car and our caravan, including relay. Q. I want to travel to Europe. Is this allowed? A. No – Our caravans are only allowed to be taken within mainland Britain. Q. Do I have to collect and return my hire vehicle on a particular day of the week? A. No. Vehicles can usually be collected and returned Monday – Saturday. Sunday and Bank Holiday collections or returns may be possible, depending on the circumstances and vehicle availability. Q. What are your usual collection and drop-off times for hire vehicles? What happens if I am late? A. Vehicles are usually collected /delivered by 2.00pm on the first day of the hire. It may be the case that your vehicle will be ready before this time in which case you would be welcome to collect it early at no additional cost, subject to agreeing an approximate time with us in advance! If this would be of benefit we recommend you contact us a few days prior to the start of your hire and we can advise the situation. Please do not arrive at 10.00am and expect your vehicle to be ready without checking with us first! Vehicles are usually booked to be returned by 12.00 pm, as this then gives us the necessary time to clean and prepare the vehicle for the next customer. You are welcome to return vehicles earlier than planned if you wish to do so but we regret we are unlikely to be able to offer a refund for unused days unless we can book them out to another client. We appreciate that accidents can happen and unforeseen situations can make you late, but we would ask all clients to please allow plenty of time when collecting and returning vehicles. In the event that you return your vehicle late then you risk ruining the next hirer’s holiday! We do not have penalties which we charge by the hour for late vehicles like some hire companies, but we do reserve the right to levy fair additional charges, especially if we have to compensate the next hirer for missing a collection / delivery time. Q. Do you offer delivery & collection services for your caravans? A. Yes we do, throughout Norfolk & Suffolk and a very popular service it has proven. With flexible drop off times, days, dates etc, and including complete set-up and full instruction given prior to handover of the caravan to you. Delivery rates are generally based on the mileage traveled from our site in Norwich (NR8 6HT). Q. Must I book a vehicle for a week at a time or can I specify the length of hire I want? A. You can book any of our vehicles for as long or as short a time as you wish. For example, if you want to have ten days hire, then we will just charge you for ten days. All hire rates are charged pro-rata on our usual weekly rates. However, we do have a minimum hire charge at various times of the year, so please just contact us if you have particular requirements and we will quote accordingly. Q. Do you have minimum hire periods or charges? A. Whilst we do not have minimum hire periods, we do have minimum hire charges at various times of the year. Generally these are: July & August, Bank holiday weeks and during the main two weeks at Christmas. One week minimum hire charges are applicable. Q. What equipment is supplied in the vehicle? What do I need to bring? Q. Do I need a generator or mains electricity to run the lights and electrics in the vehicle? A. All our caravan are fully self-contained in that all appliances (such as hob, grill, oven, fridge, hot water, heating) will operate from the cylinder gas we supply, whilst the onboard 12V leisure battery supplies the power to operate lighting, water pumps and so on. However, all our vehicles have at least two domestic style 3-pin 230V electric socket which may be used to power your own 230V appliances, such as a mobile ‘phone charger, electric kettle, small hairdryer or similar. These sockets can only be used if the vehicle is connected to a 230V mains electricity supply such as on a campsite (this is known as a ‘mains hook-up’), or connected to a generator providing 230V. Q. Are there TV’s in your caravans? A. Whilst only a couple of our caravans are equipped with televisions as standard, all our vehicles are fitted with TV aerials in case you wish to use a television during your hire. We can offer a range of additional items including TV and TV/DVD units (which will run from the 12V batteries on board our vehicles) if required. Please see our ‘EXTRAS’ list for further details. Q. Are there any speed limit or lane restrictions for caravans in the UK? A. UK speed limits for ALL towing vehicles are NOT the same as for cars. Please see the chart below for details. Q. Do you have a list of caravan sites that we can use? A. We are currently producing a list on our website and we will of course provide accurate information on all caravan sites known to us locally and we will try and match a site to suit. Q. Are pets allowed in your caravans? A. We have no objection to family pets in all bar one of our caravans however we ask hirers to be responsible for their pets and to ensure that they are provided with their own beds/blankets as necessary. Please remember that some vehicles have more floor space suitable for pet areas than others, so bear this in mind when deciding on the vehicle you require. Q. Are there any age restrictions when hiring your caravans? A. If towing our caravans then you must have a suitable driving Licence, be at least 25 years of age and have been driving for at least five years. Q. Do I need a special licence to hire a caravan? A. For more details on UK licences, please visit the website of the Driver and Vehicle Licensing Agency (DVLA) at www.dvla.gov.uk or contact us. Provided you meet our usual eligibility criteria, then you only need a full UK licence with the necessary categories of B and B+E as this is valid for a vehicle and towed caravan combination with a maximum authorised mass (MAM) of up to 8.25 tonnes. (Average car and our caravan combination may be around 3.0 tonnes). Provided you meet our usual eligibility criteria, then your full UK licence allows you to tow one of our caravans under the category B entitlement of your licence providing the maximum authorised mass (MAM) of the caravan does not exceed the unladen weight of the towing vehicle AND the combination does not exceed 3.5 tonnes MAM. For example, an average family saloon car may have an unladen weight around 1500kg and a MAM of around 1900kg. If this was towing one of our caravans which had a MAM of 1450kg, then this would be well within the limits of your licence restrictions. If you wished to tow a caravan with a much larger tow vehicle, for instance a 4 wheel drive towcar with a MAM of 2600kg then you will need to pass an additional driving test to gain the B+E category entitlement on your licence. This then entitles you to tow a trailer or caravan over 750kg MAM (as all our caravan are) with a tow vehicle weighing up to 3.5 tonnes MAM. Q. What happens if the hirer before me is involved in an accident? Have you spare vehicles? A. Unlike some small hire firms which may only have a few vehicles, we have a larger fleet of caravans available for hire throughout the year plus any sales vehicles on site. In the event of the hirer previous to you returning the vehicle in a condition unsuitable for your hire we will endeavour to replace it with a similar vehicle, or a different model with your approval. Q. What happens if I have to cancel my hire? A. If you cancel your hire then we will try to re-let the vehicle to another customer. If we are able to do so, then you will get a full refund of monies paid less an administration charge, currently £50.00. You would get a full refund for any delivery/collection charges paid if we have not incurred any costs in this respect. We may be able to offer a credit note to offset against a future hire, depending on the circumstances. Hirers are advised to obtain their own insurance cover to safeguard against such losses. Q. Do I have to pay the full hire charge on booking? A. 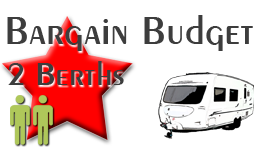 A deposit of usually £200.00 per caravan is required at booking stage. This deposit then acts as the damage deposit during the hire and is fully refundable within 7 days of the end of the hire provided the vehicle is returned clean, undamaged and on time, including the emptying of the toilet cassette. The vehicle hire charge itself, along with any charges for delivery/collection, extra items and so on, is payable 3 weeks prior to the commencement of hire and we would usually contact you around this date. We can accept payment by internet bank transfer, debit cards or cheque. Q. Do you offer discounts for long term hires? A. We can usually offer discounts for hires in excess of 14 days. If you wish to hire for 14+ days then please do contact us and we shall aim to tailor discounts to your hire according to your requirements. Q. Is my towcar suitable to tow your caravans? A. There are many factors to consider when matching towcar and caravan, but one of the most important is the weights of the vehicles. As a general rule of thumb it is suggested that the maximum laden weight of the caravan should be around 85% of the kerbweight of the towcar for inexperienced towers, and must not exceed 95% for any drivers. Legally, the maximum possible weight of the caravan (the MTPLM) must not exceed the maximum tow limit of the towcar (set by the manufacturer). Other factors such as the towcar engine size, the weight of items loaded into the caravan, the type of towbar/hitch fitted, how well the caravan weight is distributed and even how far and where you are travelling will all make a difference to the safety of your car and caravan combination. Overall, we consider that a common sense approach is the key to determining which caravans are suitable for your towcar. Please remember that the day you arrive to collect your caravan is not the best day to realise that it is not up to the job! For safety reasons we will not allow caravans to leave the site if the towcar is not suitable. If you would like us to advise please just contact us and we would be happy to offer assistance in any way we can; be that by undertaking a towcar-to-caravan match appraisal or even if this is to deliver and collect the caravan so you do not have to tow it at all. Q. What kind of towbar do I need to hire your caravans? A. Your towcar will need to have a 50mm ‘extended neck’ towball with either single or double 7-pin electric sockets or a 13-pin electric socket. Al-Ko stabilisers will usually fit these towballs without any amendment or adjustment necessary. However, we recommend you read the Al-Ko information sheet to check the clearances between towball and vehicle. If you use a standard ‘bolt-on’ type towball, you will need to replace it with the special Al-Ko ‘extended neck’ towball. As the stabiliser clamps fully around the towball, using the standard style towball is unacceptable as the stabiliser clamp cannot locate correctly and this could lead to the caravan becoming detached during travel. Should you have an older style bolt-on towball then we can supply the ‘extended neck’ version to you if required. We can also supply spacers and towball bolts if needed. Please just contact us for details and prices. Q. Do you supply a rear number plate for caravans? A. A rear number plate for the caravan to match the towcar can be supplied by us, although some clients will have a number plate from previous hires or other sources. If we are to source a number plate on your behalf a charge of £15.00 is applicable and we will need to view and take a copy of your Photo ID Driving Licence or Passport & your Vehicle Registration Document V5. If you are hiring a caravan and require a rear number plate for the caravan, and the following documentation is not provided when the vehicle is collected, we will, by law, be unable to supply a new number plate. Q. I am going to a specific event. Can you site a caravan there ready for me? A. We can deliver all of our caravans throughout Norfolk & Suffolk and siting caravans at specific events, exhibitions, shows, seminars and campsites is very common for us, however we do not deliver to Festivals. Delivery rates are generally based on the mileage traveled from our site in Taverham, Norwich. All delivery and collection services involve full siting and set-up of your caravan, so that it is ready for your immediate use. If you would like a quotation for our delivery and/or collection services please contact us and we will be happy to advise the costs involved. Q. Do you sell caravans? A. Yes. We are proud to be aligned to Norfolk Caravans who offer a range of pre-owned touring caravans. Please visit www.norfolk caravans.co.uk for more details and current sales stock. 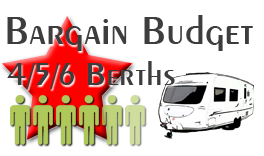 Also please do not forget our unique ‘Try before you buy’ offer, where if you decide to purchase a pre-owned caravan from Norfolk Caravans within six months from the completion of your hire, we will refund your hire fees of up to one week in full. So you could holiday on us for free!